ZEEL's total expenditure in Q3 FY-19 stood at Rs 1,412.5 crore, higher by 13.6 per cent compared to Q3 FY-I8. Subhash Chandra's Mumbai headquartered media conglomerate, Zee Entertainment Enterprises Limited declared its financials for the quarter ending on December 31, 2018 (Q3 FY -19). The entertainment enterprise grossed Rs 2166.8 crore securing a 17.9 per cent YoY growth in revenue. 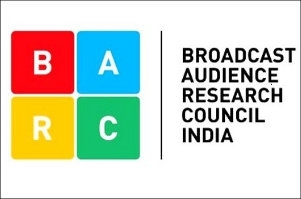 The domestic broadcast business raked in Rs 1371.9 crore from advertisements registering a 20.6 per cent YoY growth. ZEEL's domestic business witnessed a 28.6 per cent YoY growth in subscription revenue as it generated Rs 519.2 crore in Q3: FY 19. Earnings Before Interest, Tax, Depreciation, and Amortisation (EBITDA) was Rs. 754.3 crore with an EBITDA margin of 34.8 per cent. PAT (profit after tax) for the quarter was Rs. 562.4 crore. In its media statement, ZEEL mentioned that its digital video business grew by 36 per cent in terms of monthly active users over the previous quarter (July 2018 to September 2018). As per the statement, ZEE5 recorded 56.3 million Monthly Active Users (MAU) in the month of December. ZEE5 users, according to the company, currently spend an average of 31 minutes per day on the platform. Programming cost for the quarter increased by 18.5 per cent YoY to Rs. 797.8 crore. 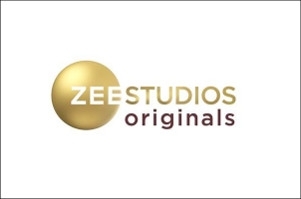 ZEEL, in its statement, mentioned that this increase was driven by content cost for ZEE5 and elevated movie amortisation costs for the broadcast business. Advertising, publicity and other expenses (marketing and promotions) for the quarter grew by 3.4 per cent YoY to Rs 431.3 crore. ZEEL's total expenditure in Q3 FY-19 stood at Rs 1,412.5 crore, higher by 13.6 per cent compared to Q3 FY-I8. The operating cost, which was Rs 673 crore in Q3: FY18, went up by 18.5 per cent to Rs 797.8 crore in Q3: FY 19. The employee cost rose by 19.4 per cent from Rs 153.5 crore in Q3 FY-18 to Rs 183.4 crore in Q3: FY - 19. The company's International business revenue was Rs 197.8 crore. The advertising revenue grew by 40.2 per cent while the subscription revenue increased by 1.2 per cent. During the quarter, the Company had issued and allotted 3430 Equity Shares upon exercise of the Stock Options granted under the ESOP Scheme, resulting in the increase in the Paid-up Equity Share Capital of the Company to 96,04,66,500 equity shares of Re 1/- each. Punit Goenka, managing director and CEO, ZEEL, was quoted in the media statement, "I am really pleased with our performance this quarter which further strengthens our position as India's leading entertainment content company. While our television business continues to consolidate its number one position, ZEE5 is quickly establishing itself as one of the leading digital entertainment platforms in the country. 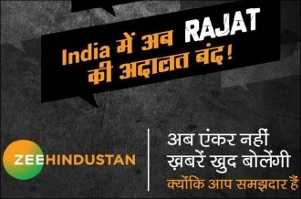 ZEE5 has already become the biggest producer of Indian content amongst the digital platforms and the content offering will multiply, going forward. Our expanding list of partnerships with telecom operators and players in the digital eco-system, coupled with innovation in pricing, will make ZEE5 accessible to a wider audience." Click here for the unaudited limited reviewed financial results of the company.